This is the Blu-ray version. The 25th Anniversary Arnold Classic was held at the Veterans Memorial Auditorium, Columbus, Ohio on March 1st & 2nd, 2013. 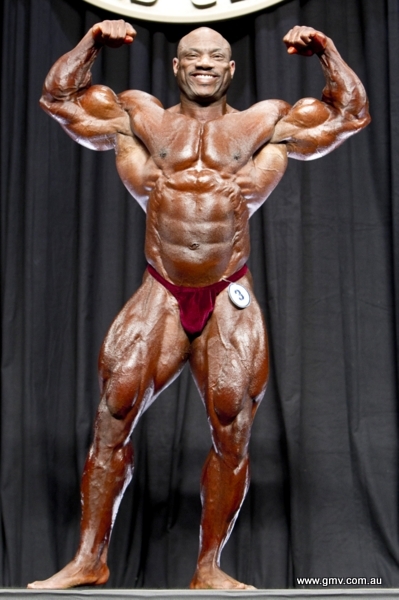 Congratulations to the winner Dexter Jackson who also won the Arnold Classic in 2005, 2006 and 2008. He has now tied the record of 4 victories by Flex Wheeler who won this event in 1993, 1997, 1998 and 2000. This Blu-ray DVD presents the COMPLETE PREJUDGING with all of the compulsory poses and callouts along with the COMPLETE FINALS. Plus the complete Circus Lift contest, along with the Strongman winner's award by Arnold to Vytautas Lalas of Lithuania.